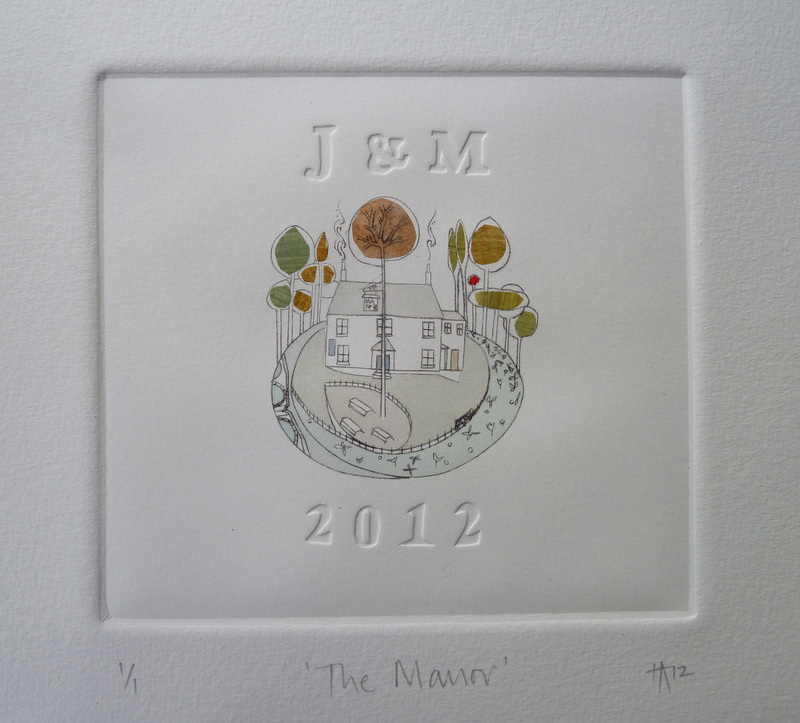 Wedding present commission for private client. Drypoint print with chine colle and embossing work. Includes their home, locality, initials and date.